Most websites have not been planned with the conversion needs of target visitors in mind. If you overlook the importance of discovering your target user’s unique needs, you will not be able to write content that addresses those needs. This will sure keep your visitors from converting to customers. Creating your user’s persona helps you target different personality types and maximize your conversion rate. You can discover the personas of your potential customers by conducting user interviews, by observing focus groups, and by analyzing search behavior. Who are your target customers? 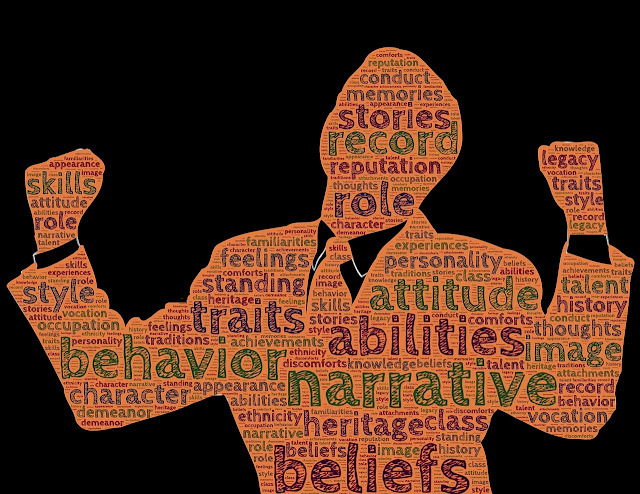 It's time to create your buyer persona! The goal is to map out the different topics that your target customer searches for in Google. To do that, you need to identify what is that your potential customers care about. Where is your target market located? What is the main problem that your typical user wants to fix? Why would a website user favor your business over all other competitors? What makes your company and services unique? What benefits are important to your target prospect? Build a list of these benefits beginning with the most important! Knowing this information allows you to write content that speaks to the heart of your website’s visitors. What are the biggest frustrations and objections that your website visitors have when conducting business with companies in your industry? Do they have specific questions that you can answer on your website? This information allows you to create content that reduces your users reluctance to buy. To address their objections, provide answers to their most pressing questions. You can also encourage them to buy by offering free shipping, low prices, satisfaction guarantees, toll-free phone numbers, FAQs, or easy financing. What specific factors do your users look for when making decisions to buy your products or services? Knowing this information allows you to write content that positions you as the expert in the industry who helps customers make good decisions. How can you encourage your clients to trust you? Risk-reversal techniques create offers that many customers can’t refuse. For example 100% satisfaction guarantees, free return shipping, free trials, and unconditional money-back guarantees. What keyword phrases does your target market use in search engines such as Google, Yahoo!, and Bing Search to find your product or service? Incorporate these search terms into your web pages and optimise your site for search engines. Your writing style affects your conversion rates. Be consistent throughout your online writing to build customer confidence and reduce customers’ perceived risk of buying from your company. Use the personas you have developed to target your writing towards your audience. You can either approach your copy from a positive, benefit-oriented perspective or show your visitors what they’ll lose if they don’t go with your company. Avoid changing voice, tense, or pronouns in the middle of your pages. It confuses the reader. Be consistent and reliable in your communications and you will realize that smartly written and targeted content is the key to success. Demographic/ socioeconomic: Customer surveys, government data, Quantcast, comScore, Nielsen, Experian Simmons. Psychographic: one-on-one interviews, social media platforms, customer surveys, buying patterns, forums, blog comments, Google analytics. Trend information: TrendSpottr, BuzzSumo, Magazines, Online news sites, TV shows, Google trends, Customer surveys. Questions/pain points: Quora, Yahoo Answers, Stack Exchange, Wiki answers, blog comments, Internal customer support, Google Analytics, customer events, conferences, sales team and other internal departments. Search: Google Analytics, Google Autocomplete, Ubersuggest. 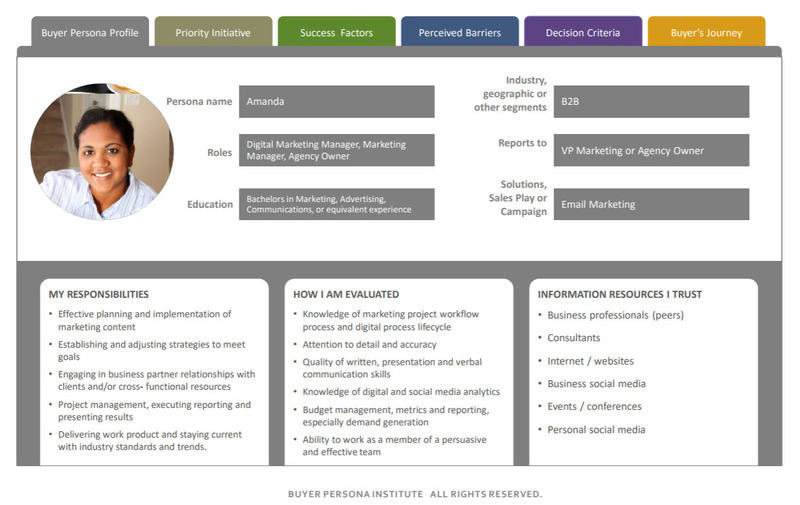 Of course, while discussing buyer personas, who better to consult than the Buyer Persona Institute? In Amanda’s multi-tab persona profile, her wants, needs, and sticking points are all clearly addressed. This way, when someone from the company enters into conversation with an Amanda, he will already have done his homework on what makes her tick. 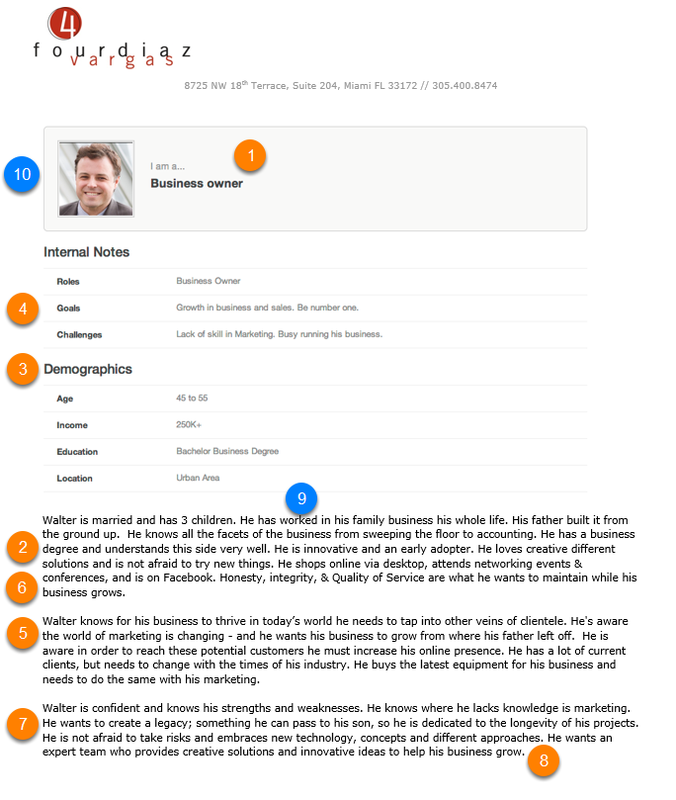 You have a full buyer persona example here.